We’ve argued for a long time at Public Knowledge that the extremely aggressive bandwidth caps that most mobile providers impose – particularly AT&T and Verizon – don’t make any sense as a way to manage congestion and that they seriously undermine the value of mobile broadband to consumers. The wireless carriers -- particularly AT&T and Verizon -- argue that they need to use caps to manage congestion and stop “bandwidth hogs” from destroying our national wireless networks with their cat videos. Now comes T-Mobile with fairly rock solid evidence that bandwidth caps have nothing to do with technical constraints and everything to do with AT&T and Verizon holding most of the good wireless spectrum used for mobile broadband. In this Emergency Petition, T-Mobile explains that: “T-Mobile has been forced to throttle and cap its customers’ ability to roam on AT&T’s data network due to AT&T’s unreasonably high data roaming rates.” See T-Mobile Petition at 13. According to T-Mobile (and they bring evidence to back it up), AT&T leverages the fact that it controls most of the wireless spectrum capacity needed to provide mobile broadband if you use the 3G “GSM” standard (T-Mobile also provides evidence of why the shift to 4G LTE does not alleviate this market power, especially since Verizon controls most of the spectrum useful for 4G LTE that AT&T doesn’t control). Using its spectrum-based market power, AT&T charges super-high prices for data roaming, making it impossible for T-Mobile or other carriers to offer genuinely unlimited data. T-Mobile concludes by asking the FCC to crack down on these anticompetitive data roaming prices. As Public Knowledge and several other public interest organizations pointed out in our comments supporting the T-Mobile Petition, this doesn’t only hurt competitors. 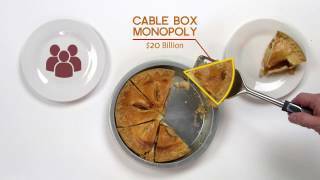 By making it financially impossible for competitors to offer uncapped and unthrottled broadband, AT&T and Verizon get to keep their own broadband capped and overpriced. Worse, with things like AT&T’s “1-800-Broadband” initiative that lets third party providers pick up the tab for these artificial overage fees, AT&T and Verizon can exploit their spectrum market power to make even more monopoly profits while shafting the competition and consumers. 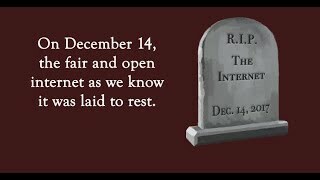 As we point out in our own comments, this hurts not only our ability to use broadband to its fullest potential, but has serious implications for the Open Internet and net neutrality. We’ve said in the past that by manipulating data caps providers can pick winners and losers as easily as they can by actually blocking or degrading service. Even T-Mobile, which insists in its Petition here and in this interview with CEO John Legere that it wants to offer unlimited broadband, recently crossed the line by choosing to offer unmetered streaming music from the most popular companies. Fix Data Roaming. End Data Caps. As we’ve argued all along, there’s no real reason to cap broadband. It’s not because AT&T and Verizon are protecting our networks from bandwidth hogs. It’s because AT&T and Verizon are leveraging their spectrum market power so they can overcharge subscribers and drive out competitors. The FCC needs to fix data roaming. Separately, it needs to crack down on data caps that increasingly look like nothing more than a way to leverage market power to inflate prices and hurt potential competitors.